Don't worry if you happen to lose or damage your Steel Fire base.....replacements are available here. This particular base fits our Small 'Trekker' model. The Fire base of your Kelly Kettle may burn out over time however the good news is that replacement bases are readily available. The fire base is essential if you are in a particularly dry environment and there is a risk of causing bushfire. The correct use of the kettle on the base ensures that the fire and embers are kept safely within the kettle at all times. 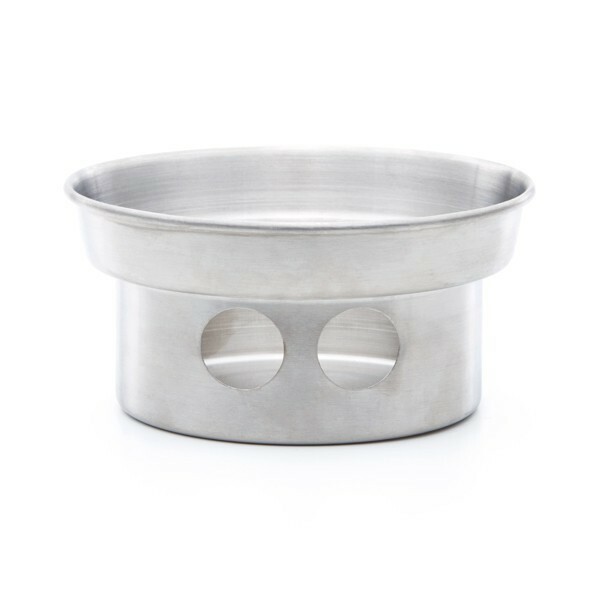 The Stainless Steel bases usually last for many years of heavy use. The key to making the bases last longer is to extinguish the fire once the kettle has boiled. Many people leave the embers burning in the base long after the kettle has been removed and this can cause the metal to overheat and warp. To prolong the life span of your fire base, extinguish the fire in the base immediately after use.